The news that the budget was once again delaying increase to foreign aid spending was sad for Australia’s reputation as a burgeoning leader on the world stage. That is why I was especially uplifted to see ACMI, cinema 1, bursting at the seams by those eager to learn about human rights issues through the Human Rights Arts and Film Festival (HRAFF). On Wednesday night HRAFF sold out a film depicting the Egyptian 2011 Tahrir Square revolution from the perspective of a budding female online journalist, Heba Afify. The filmmaker Mai Iskander cleverly uses the frontline reporting of Heba to depict many aspects of the revolution and Egyptian culture. 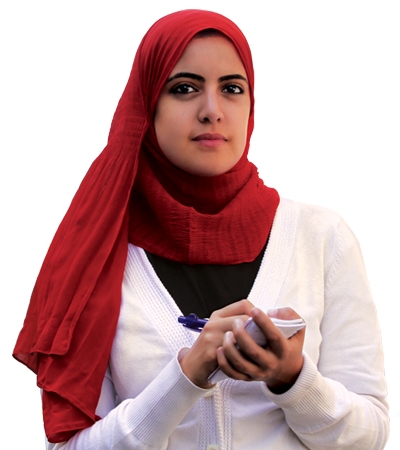 Faced with all the trials of a traditional Muslim woman, Heba is lectured nightly by her mother, while ‘you may be a journalist, you are [above all] a girl’, who also pleads Heba to stay away from Tahrir Square and the demonstrators. 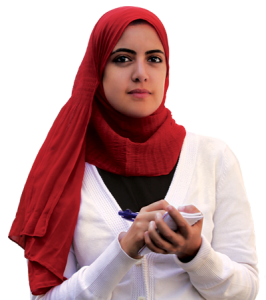 Heba acts with dignity and a level-headedness that is so important to journalism. Dismissing conspiracy theories about Mubarak still retaining control three weeks after the overthrow, Heba pitches a story about missing protesters from Tahrir Square. While initially searching social media sites Heba ventures out into the midst of the continuing demonstrations to talk to people about their lost loved ones. Showing her affinity for her people and their plight, ‘I really feel for what they are saying’. Stepping outside her traditional role, Heba interviews the demonstrators, actively playing devil’s advocate to their opinions. She braves the crowds, constantly jostled by the throngs of men, and risks her safety to expose the torture by the State Security of peaceful protesters. We see her footage of Egyptians raiding the headquarters of the state security as they search for documents and prisoners. Voting day was one of the most moving parts of the film. Through Heba’s interviews the audience hears concessions from the Egyptians that they had never voted before. They had never felt like there was a point and now they wanted to stand up, be counted, and have a say in their country’s future. In an effort to ensure the people only voted once, before they received their nationality card back, one of their fingers would be stained with ink as identification. On arriving home, Heba’s mother writes ‘No!’ over her inked finger and has her daughter take a photo – “now put it on Facebook”, she says. Words of Witness is an amazing documentary providing a unique angle on the Egyptian uprising. It shows the authoritarianism of the Mubarak regime, the atrocities of the military and the perspectives of Egyptians who had, for so long, been repressed by their political system. ‘I didn’t feel like it was my country’, states a protester, ‘but the revolution changed all that.’ But most prominently, this film is an uplifting depiction of a brave young woman, daring to face tyranny, and fight for the dignity and freedom of her country. This is Mai Iskander’s second major film. Iskander’s directorial debut, Garbage Dreams was nominated for the 2010 Best Documentary by the Director’s Guild of America, and has won 26 international awards including the Al Gore Reel Current Award and IDA Humanitas Award. The Human Rights Arts and Film Festival runs until May 23rd. This entry was posted in Culture, Film and tagged egypt, Mubarek, Words of Witness. Bookmark the permalink.